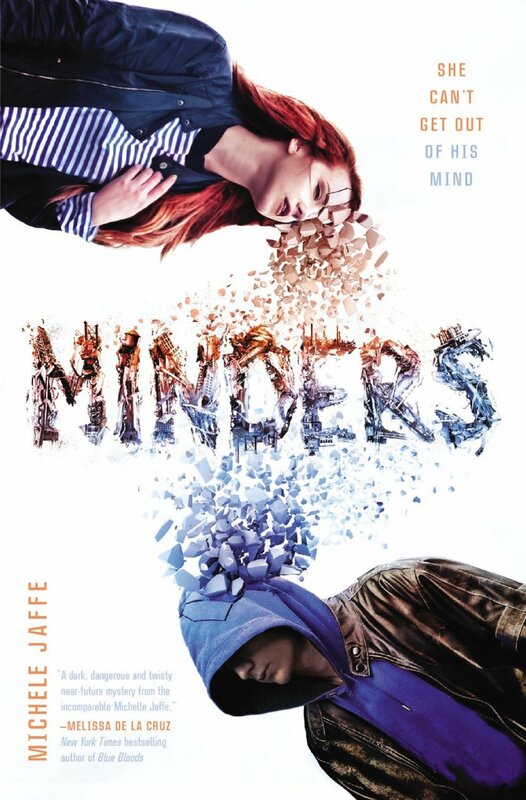 Michele Jaffe’s Minders was a great follow up to S J Steiger’s Mindwalker and now I am struggling to find another read that is just as psychologically thrilling and stimulating and failing miserably. Please do not hesitate to give any recommendations. I had previously read Jaffe’s Bad Kitty series and was thoroughly underwhelmed but after Minders I will undoubtedly be adding Ghost Flower and Rosebush to my to-be-read list. Minders is set in a futuristic, and to an extent dystopian, world and revolves around new science but Jaffe spends minimal time on world building. I could complain about not knowing the year and the series of events that lead to Minders’ dystopian-like condition but ultimately it made little difference to me as a reader. When reduced to its core elements, Minders is basically a contemporary novel within a sci-fi/dystopian concept. And that is part of the reason why the little/absence of world building/setting did not bother me. Jaffe’s narrative is like no other, her depiction of Ford’s mind, as witnessed by Sadie, unbeknownst to him, is unique and fascinating. I found her description of Ford’s thought process, his sub-consciousness, repressed trauma, memory recall, and day-to-day experiences to be quite impressive. Further, her emphasis on the dichotomy between reality and internal perception was brilliant. It is apt to describe it as a cinematic read because the imagery Jaffe employs to bring Ford’s tumultuous head of emotions to life is nothing short of outstandingly creative. The reader gets a surprisingly immersive experience into the life of 19 year-old Ford Winter and for this reason I could not decide who the lead of the narrative was, Sadie or Ford. I loved them both, albeit for different reasons. …one moment he has you swallowing back a lump in your throat, the next he’s making you roll your eyes. He comes off as stupid, impulsive and evasive most of the time but as Sadie delves into the grief, hurt and insecurities underpinning his decisions/actions he suddenly takes your breath away. In contrast, there is very little to know about Sadie that is not relative to Ford. We know her life is planned to clinical precision, filled with passionless ambition and pretentious affections of her supposed loved ones. She is perceived to be cold and driven but is harbouring feelings of loneliness, abandonment and self-doubt. As the reader accompanies her journey within Ford’s mind, you discover she is deeply compassionate. She is moved by Ford’s predicament and quickly resolves to empathise with him and aid him against her better judgment. I initially decided that Sadie’s feelings for Ford developed rather rapidly, but then realised that maybe getting front row seats to his inner-psyche would do that to you. Ford compels her to feel as well as think, an attribute that she severely lacked before descending into his mind. Aside from Ford and Sadie, the plot is intriguing, entertaining and compelling. The mystery of Ford’s brother’s death and the criminal underbelly of his city is edge-of-the-seat stuff. I did not dwell much on the fact that the resolution of the mystery was predictable, but I found Sadie’s knowledge of how events/facts connected to the ultimate culprits was unnecessarily rushed and borderline inexplicable. The clues were definitely set throughout the narrative and Sadie at some point collated/connected them but this was never demonstrated. Sadie simply communicated her conclusions and that was that. At the end of the book, I found myself thinking, well, she must connected those two dots, and in light of her being aware of this piece of information, she must have come to that conclusion and so forth. Needless to say, I was a little disappointed that Jaffe did not spend some extra time (a chapter at the least) on tidying up her conclusion, particularly when the rest of the book was so well done. I also felt that the culprits were not sufficiently dealt with at the end. That being said, it was certainly refreshing to have a battle of wits as the climax and a less-naive conclusion to the good v/s evil dynamic. In conclusion, Minders is an un-put-down-able read. After a while, my body simply went into over-ride mode and shut down without my knowledge (literally, I would be reading and then I am waking up with a sleeping iPad next to me, now that I have mastered how to position it so it does does not fall forward on my face and split my lip) because I kept reading it when I should be sleeping. It is a stunning psychological thriller, equal parts heart-pounding and heart wrenching. If you are looking for something that is just that little bit out of the ordinary, look no further than Michele Jaffe’s Minders.